Yesterday, the Academy announced that, to keep its Oscars ceremony at a “brisk three hours,” it would chop four categories from the ceremony’s live telecast, giving the awards out during commercial breaks and editing and airing them later in the telecast in a clipped form. Those categories, chosen at what seems like random, are Best Film Editing, Best Live Action Short, Best Makeup And Hairstyling, and Best Cinematography. While outcry has been fierce on all fronts—maybe cut a dumb skit or two instead?—it’s the scuttling of cinematography and editing that have a number of film lovers up in arms. 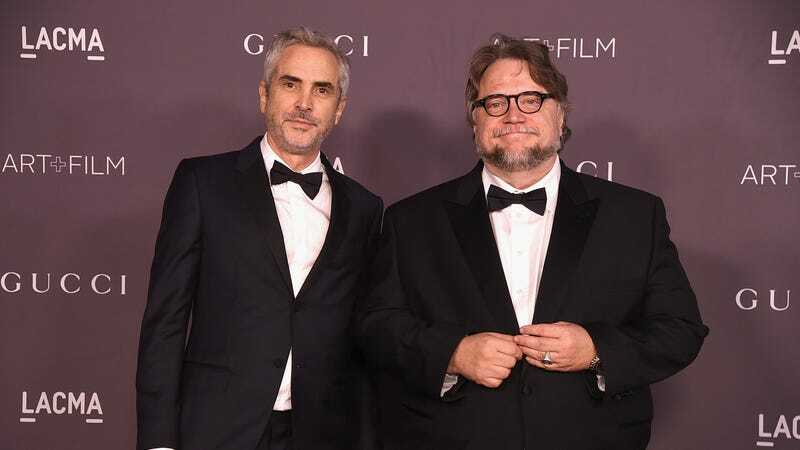 Among them are Guillermo del Toro, whose The Shape Of Water was last year’s Best Picture, and Alfonso Cuarón, who’s got a great shot at winning this year with Roma. Del Toro also spoke out, implying that those skills lie “at the very heart of our craft.” He seems to imply that, if anything should be trimmed, it’s those that were “inherited from a theatrical tradition or a literary tradition,” like, say, acting and writing. To be fair, the categories handed out during the commercials will change from year to year, meaning that these four categories will be given their due next year. The Academy says that the whole process “should be seamless and most viewers won’t notice.” But, hey, they’re probably saying the same thing about its lack of a host.